A new novel by Susan Feathers, called Threshold, explores one community’s response to climate change. 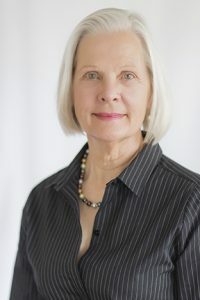 Inspired by her experiences with the Building Resilient Neighborhoods program in Tuscon, Arizona, Threshold combines interlocking plot-lines with the latest scientific research to bring the concept of community resiliency to life. You can purchase the book online or read an excerpt below! “Tonight, my friends, we welcome a man who is one of us.” The audience murmured in recognition of the man who’d grown up among them, a familiar figure in the cultural and political life of their community. As the congressman rose and ascended the steps to the pulpit, the crowd stood to clap, making a thunderous sound in the vaulted space. Dolores felt a thrill move through her. Roberto took Dolores’s hand in his own. Dressed in linen slacks and a white guayabera, his wavy brown hair glistening with gel, Rudolfo Ramirez stood before them humbly, gesturing for them all to be seated. “The time has come for action. We must prepare for the coming changes. Rather than be frightened, I want you to think of these times as an opportunity. Ramirez captivated their hearts and minds. He spoke the truth without fear. The crowd listened in rapt attention. The cathedral was suddenly very quiet, every person following the congressman’s words as if he were giving them life itself. He paused to let them think about it. “This is actually being done in other states in the country. It’s called a ‘solar commons,’ and in it public space on the grid is opened to everyone. The money generated from leases is used to make it possible for everyone to join in. “Investors can also buy a solar array for a neighborhood, or a business, that independently generates and stores solar energy. Some people call these ‘solar gardens.’ They are doing this in Colorado right now. “When the grid goes down, the neighborhood continues to generate its own power. When the grid is up and running, the collective sells the solar energy to the power company. The crowd burst out laughing, their relief palpable. The congressman paused briefly. The crowd was still. Water was the limiting factor. Everyone knew it. The audience broke into applause. Ramirez walked down the aisle now as he addressed individuals. “Do you know everyone on your block? This is a priority! We lost people in the last blackout because we were not organized.” He addressed another row of citizens. “Do you know how to tell heatstroke from dehydration? Do you know where to go to cool down or find water? 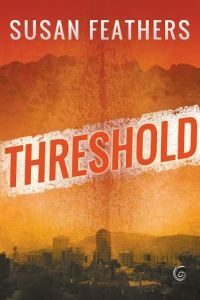 THRESHOLD was released on November 1, 2016 by Fireship Press in Tucson, Arizona. The novel explores how communities respond to long term drought and increasingly warmer temperatures in a desert city. Tucson, Arizona – like other large metropolitan cities in the Southwest – is facing the challenge of providing water to its inhabitants during a progressively drier and hotter period which scientists are documenting as long-term ecological change. The impacts of climate change are felt disproportionately among residents of varying economic wealth and social capital. These disparities have existed for centuries but now are amplified. How will the city hold together? What happens in individual lives of people living in different circumstances? You can purchase the book at Amazon or at other online retailers. Learn more about the Building Resilient Neighborhoods program here.